CHKE ---> Is my big bet for this week!! Alerted in last Weekend here in my blog and since then, Cherokee is having an excellent performance, with shares rising more than 20%!! The Momentum is getting stronger and i believe that a break above its 20 Moving Average could open the door for an explosion. 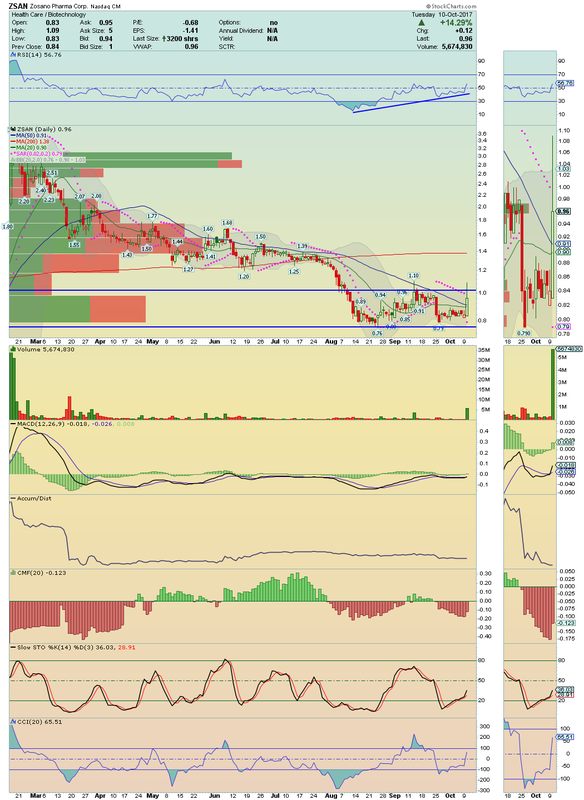 $3.83 could be the next target. Great picture!! Long and strong!! MLP ---> Another setup coming from Blog, yesterday, and it made a very nice session! 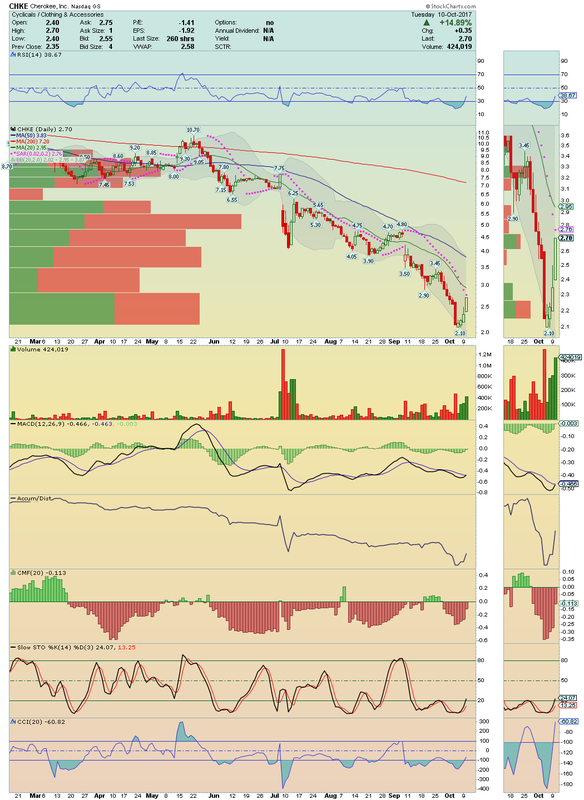 I opened a long position after it breaking up above $15.65! With 6.64M of shares float and about 10% of Short Float, Maui Land has a great probability to run higher! 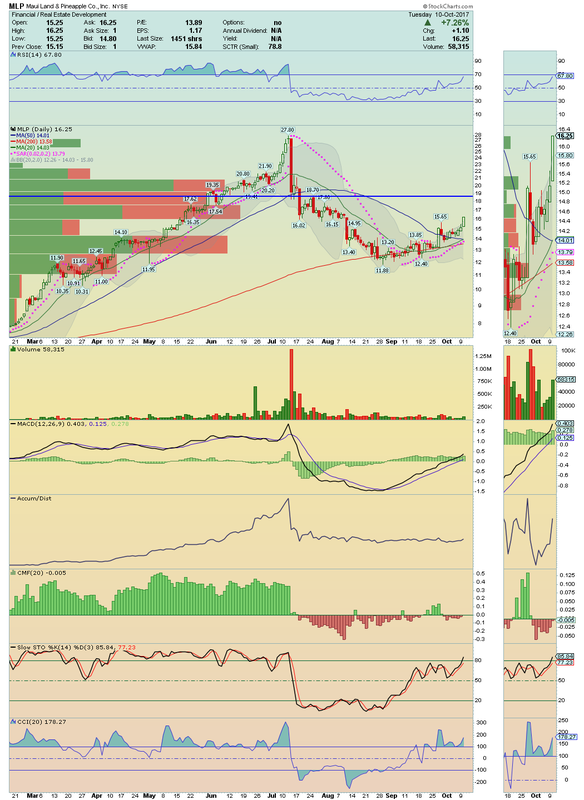 $18.70 is my initial target!! AMMA---> After the big drop occurred since the beginning of October, AMMA seems to have found support on its 20 Moving Average! Shares rose more than 13% with high volume and technical indicators are now curling up! Buyers are coming back and a break above its 200 Moving Average could boost it for another big run! Worth watching closely. 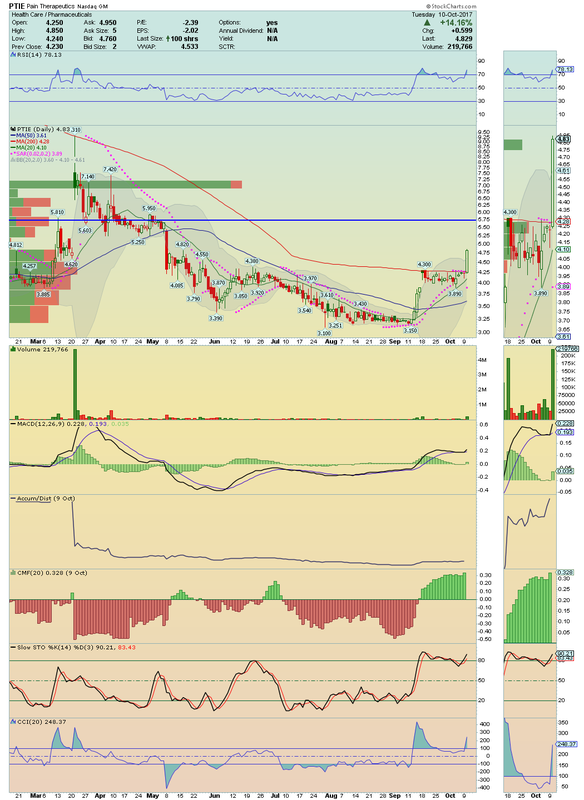 ZSAN ---> Is trying to Breakout!! 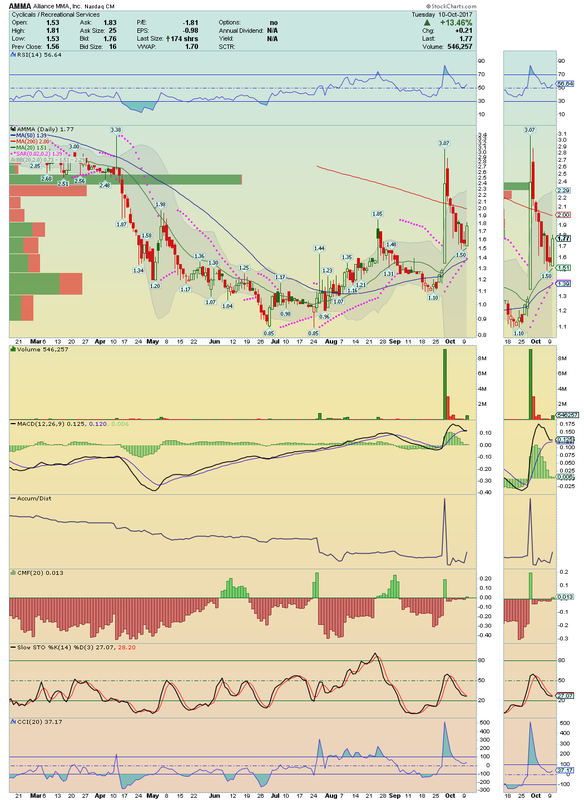 If it break above $1.02 again, with similar volume, Zosano will certainly explode higher and its 200 Moving Average could be the next stop! Memorize that it has more than 13% of short float! Could be a madness! Stay tuned. 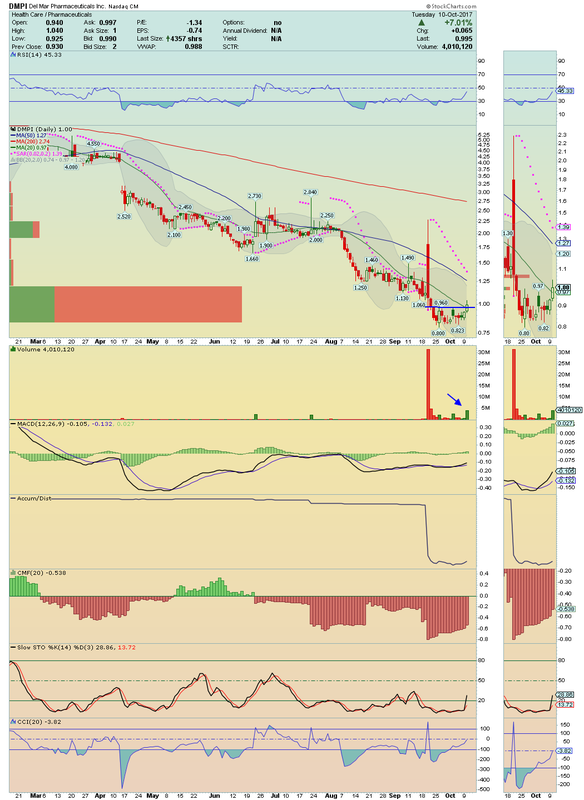 DMPI ---> It made a nice breakout today, crossing and closing above its 20 Moving Average! However, the volume today was 5 times above the usual which leads me to believe that something is coming! Trading at Bottom levels, with buyers in charge and with 19M of shares float, DMPI is a perfect Upside Runner Candidate.